A windswept and sleepless night aboard his boat was made bearable for David George by the arrival of this 28lb river mirror. 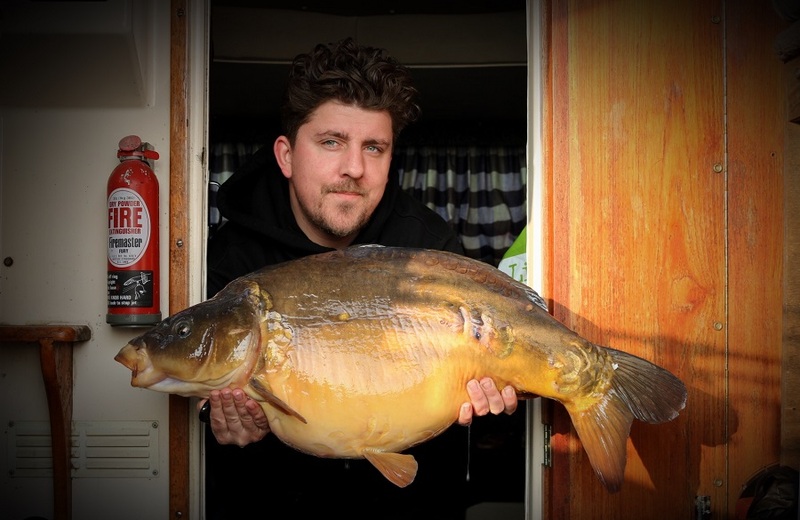 The Thames fish came after a few weeks off the river for the property maintenance worker, who caught a stunning 31lb 8oz mirror from his boat at the end of last year. Having fished Friday and Saturday nights, then Monday night, for just a single bream, the 32-year-old remained confident. “With the temperature still climbing I decided another session on Tuesday night had to be done. “I arrived at around 5pm, positioned the rigs over the same spots, again with a very small amount of heavily glugged 15mm Nash Strawberry Crush boilies. “After a long, sleepless night aboard the boat, kept awake by the wind, I woke up on Wednesday at 6am to an absolute peeler on my left-hand rod. “After a couple of decent runs I managed to catch my first fish of the year.